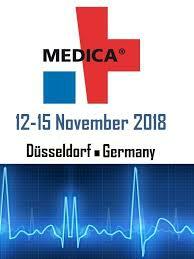 We would love to meet with you at MEDICA in Dusseldorf, Germany! It would be our pleasure to do a quick demo of the iAssay System. If you have a POC test of any format or technology, we are interested in speaking to you about an opportunity to partner. Please contact Lonnie Adelman (iAssay CEO) at lonnie.adelman@iAssay.net to setup a meeting in advance, or Skype lonniea360ji to at MEDICA.